October 17, 2016 – San Francisco, CA — Anki, the consumer robotics and artificial intelligence (A.I.) company, today announced it has launched Cozmo – one of the most sophisticated consumer robots on the market. “Unlike its less sophisticated predecessors in the toy market, Cozmo has advanced software to backup its smarts,” notes The Verge. Tech aside, Cozmo is a small bot with a big brain and an even bigger personality. According to The Wall Street Journal, “Cozmo has more personality and charm than any other robot toy I’ve played with,” and Gizmodo opines, “You can play with Cozmo for twenty minutes and forget all about it being a toy. It feels…real.” Cozmo is charming, a bit mischievous, and unpredictable. He recognizes and remembers people over time through games and playful interactions. Priced at $179.99, Cozmo is available in the U.S. at major retailers including Toys”R”Us, Apple Store, Best Buy, Amazon.com and Anki.com. Always Game. Cozmo refuses to sit tight and wait for fun. He’s ready to play. The more Cozmo and his human friend get to know each other, the more skilled he’ll become as new activities and upgrades are unlocked. The free Cozmo app, which runs on compatible iOS, Android and Kindle Fire devices, comes packed with gameplay content and constantly introduces new ways to play. Cozmo even brings his own toys to the game — three interactive Power Cubes that he’s always willing to share. So whether he’s playing with his Power Cubes or challenging players with his favorite games of speed and skill, he’s always ready for action. Similar to Anki’s robotic battle-racing hit, Anki OVERDRIVE, new content and game modes are introduced via free software updates, which ensures that the relationship with Cozmo will stay fresh and exciting year round. A software update, which includes new game mode and features, will be rolled out in December in time for the holidays. Hundreds of Emotions. A Few Tricks Up His Sleeves. Cozmo’s emotions aren’t random. His personality, driven by powerful A.I., is brought to life with complex facial expressions, a host of emotions, and his own voice and emotive language. His vision system, which includes a camera on the front of his OLED face, allows him to constantly scan his environment and recognize people. His eyes even light up when he sees a familiar face. 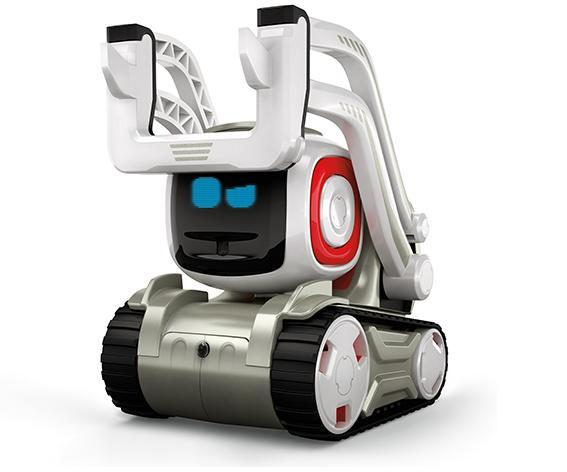 Cozmo also comes with his own dynamic soundtrack that matches his mood and corresponds with the games and activities, elevating playtime to a uniquely cinematic experience. This merger of robotics, deep A.I., game design, and a film-like approach to developing Cozmo’s character, brings to life an experience that has never been thought possible or implemented outside of a movie screen. 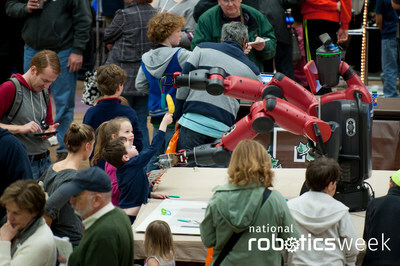 The Little Bot with Super-powered Smarts. There’s more to Cozmo than what meets the eye. His powerful technology lets him survey the world, explore it, and make decisions based on his mood. He is the product of over six years of steadfast research and development by a team comprised of some the best and brightest people across a variety of disciplines including PhD roboticists, world- class animators, renowned game developers, and a lead designer of the Batmobile. Powered by advanced robotics, A.I., and computer vision, Cozmo has a brain that processes more data per second than all the Mars rovers combined. More than three-hundred parts make up Cozmo, but his deceptively small size means he can fit in the palm of your hand. Anki is also introducing the Cozmo Software Development Kit (SDK) Beta, a free, intuitive and connected robotics platform that’s as useful for makers and hobbyists as it is for educators and researchers. With the SDK, Anki is giving consumers unprecedented access to robotics in a highly versatile package. It’s powerful but easy to use, complex but not complicated, and can be used in industries ranging from entertainment to academia. Keep up with @Anki news & connect with us at: Twitter.com/Anki, Facebook.com/Anki, YouTube.com/Anki, and Instagram.com/Anki! A short video showing Cozmo robot from Anki.